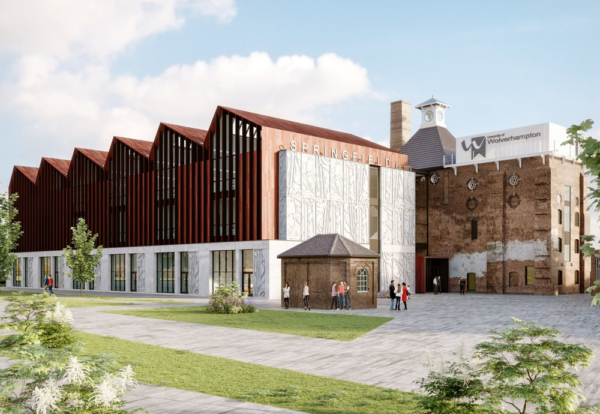 The University of Wolverhampton has agreed a £26m contract with ISG to deliver its new School of Architecture and Built Environment at the former Springfield Brewery site. The 12-acre Springfield Campus site will to become Europe’s largest built environment education campus. Wates had signed a pre-construction services agreement for the project last year but this failed to advance after the University decided to redesign the scheme. Plans for the School of Architecture form the largest part of the first phase of the £100m redevelopment of the city centre site to create the Springfield Campus. It will join the West Midlands University Technical College, which opened in January 2017, and the Elite Centre for Manufacturing Skills Hub. The scheme is being project managed by Rider Levett Bucknall. Procured via the influential Pagabo Framework, through which ISG was also recently awarded a £34m project at Richmond upon Thames College, the project is designed by Associated Architects. The 85,000 sq ft college will be constructed around the former Springfield Brewery’s clock tower, which will be sensitively restored as part of the project. A new build three-storey steel frame structure will wrap around the existing tower, and ISG will retain the outer brick façade of the former brewery building. Designed to reflect the historical context of the site, a key element of the new building is the striking saw-tooth profile of the roof – echoing the industrial buildings that once stood on the site. It will provide purpose-built space for around 1,200 students and 65 staff, with specialist laboratories, multi-disciplinary workshops, ICT suites, a lecture theatre and an upper level ‘super’ studio with double-height ceilings. 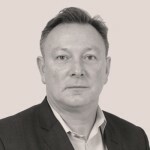 Wayne Flannery, ISG’s regional director, said: “Procurement through the Pagabo Framework has enabled early contractor engagement and fostered a superb team spirit and approach from all project stakeholders, who have all bought into the University’s visionary approach to teaching contemporary built environment disciplines.